The false gospels that pervade our churches are reflected in comments that show up in response to articles on the internet. Whether the subject is moral, political, or religious, “defenders of the faith” can be counted on to respond with their versions of how people can receive eternal life. I have rarely seen anyone who gets it right. My comment: Repenting of your sins is not a requirement for eternal life. …I have a changed life and heart after turning my life over to the god of the universe. I struggled for 20 years to obtain these changes to no avail. His word did the work that I could not. If you really want proof I can tell you how to obtain it, but you have to really be serious. If you are joking around it won’t work. If you really want to know and if God is real and He proves it to you will you give him the rest of your life? Will you make Him your God? If you are serious, God says that when you seek him with all of your heart you will find him. You must be willing to give up everything. If you are willing He will answer you. The God I serve cannot lie. Willing to take me up on it? I will lead you every step of the way. My comment: We are not saved by giving God our lives. We are saved by believing that Jesus Christ, God in the flesh, died for our sins, was buried, and was raised from the dead. It is also clear that there are those who don’t like rules, don’t want to be judged, and want unconditional forgiveness. Jesus didn’t say there wouldn’t be any rules. Jesus said “if you love me, keep my commandments.” So I can understand why some would want to call me a hypocrite for pointing to the commandments. Because it causes people examine their own faults. But the bigger picture here is that Jesus paid the price for sin. He didn’t take away the rules, but He paid the ransom for breaking them if we abandon our lawlessness and follow Him. To all sinners, there is forgiveness, but it wad bought with a price, and we must repent of our sins, abandon them and walk in the light. We can’t have it both ways. We can’t serve two masters. We can’t live in sin and live for God. True Love is Jesus dying on the cross for you while you were yet an enemy of God and extending peace to you if you will surrender your life to Him and follow Him and deny yourself. My comment: This is full of errors. We are not saved by surrendering our lives to Christ, nor are Christians under the law. My comment: We do not have to repent of sins to receive the free gift of eternal life. Jesus is Lord – we cannot make Him Lord. I recently read a fascinating article on Yahoo entitled “Raising Kids Without God (But Maybe Not Without Religion)”, written by Calvin Hennick. The crux of the article seemed to be that the writer wanted his kids to go to church so that they could contemplate the meaning of life. I still think it’s possible for my kids, and for me, to find meaning and community without God. But it might be a whole lot harder to find these things without church. This is a very tragic article on so many levels. First, the writer says that he and his wife “grew up” with Christianity. Did they? Was it ever made clear to them that they were sinners, alienated from God due to their sin? Were they taught that God, in his love for us, gave His only begotten Son – Jesus Christ (God in the flesh) – to take away the sins of the world by dying for us? Was it ever made clear to them that one need only to believe in Jesus as Savior in order to receive eternal life? Second, the writer seems to equate trusting in Christ for eternal life with trusting in Him to make us good, and moral. Jesus did not die to give us a “sense of right and wrong.” He died to take away our sins. Were the writer and his wife taught that one believes in Jesus in order to make them good? Or, were they taught that one believes in Jesus for eternal life? Third, the writer says that he used to be a born again Christian. There is no such thing as someone who used to be a born again Christian. If the writer ever believed in Jesus as his Savior, he has eternal life that can never be lost or forfeited. Last, having one’s children explore “what it means to live a good life” without teaching them how one receives eternal life is worthless. While the writer claims to no longer believe in God, his faulty views of the Christian faith seem to have been embraced by many groups masquerading as Christian churches. And, many such groups are worthless in terms of either leading people to the Lord, or helping believers to grow in their faith. Calvinists – believe that God chooses who will believe and who will not. Therefore, they deny the “whosoever” of John 3:16. They also believe that all “true believers” will persevere in holiness, and Godliness, thus revealing that they are believers through their good works. Since one cannot know whether he has been “chosen”, and since one’s works will demonstrate that he has been “chosen”, these people will invariably look to works for assurance of eternal life. Lordship “salvationists” – believe that one must either make a bi-lateral contract with God in order to receive eternal life (such as “repenting from one’s sins” or “making Christ Lord of one’s life”) or that one who has received eternal life will show some ill-defined “life change” to prove he is a believer in Christ. Therefore, they deny the “believeth in Him” of John 3:16. Like the Calvinist, LSers will invariably look to works – at least in part – for assurance of eternal life. Arminians – believe that one can lose his eternal life through sin. Since this is a concept not found in the Bible, this group can never tell you how much sin it takes to lose one’s “eternal life.” Accordingly, they look to works for evidence of eternal life, thereby denying the “everlasting life’ promised in John 3:16. Perhaps your church is clear on the gospel, and never teaches any of the above concepts. If so, great! But, if your church teaches any of these things – either implicitly or explicitly – you and your family are in grave danger. Jack had his valve replacement surgery at 1:30 p.m. today. Things went perfect. Still asleep but ICU. Thank your Lord for your Grace. We are thankful that Jack was finally able to have this surgery, and that the Lord brought Jack through this surgery today. 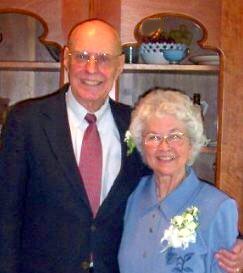 Please continue to pray for Jack’s speedy recovery, and for peace and rest for Shirley and all of Jack’s family. One of Jack’s long-ago friends and a great help in his church in South Florida, Tom Croley, dropped this excellent observation to Jack last week. What a classic dilemma this presents for Lordship “salvation” pushers (LSers). The other day the Lord gave me an observation about LS that I have never put together before. You have probably already thought of it but here it is. The same people that say you must examine your faith to make sure your faith is genuine (“true faith”) usually teach that God chooses who will be saved and who will not and the associated erroneous teaching that “faith is the gift of God”. They never seem to think about what they are telling people. Suppose I am in the congregation listening to them expound on all the “tests” of true faith and I decide that … “Whoa! I don’t have genuine faith after all.” THEN what can I do about it? Nothing! Because the same preacher on another Sunday will tell them that God gives you faith. So if you discover that your faith is not genuine upon hearing said sermon, you might as well get up and walk out the door and deposit your Bible on the way out — because according to them, you cannot DO anything about it you’re just not chosen, tough luck! After all, what are they going to do…. “believe harder?” Or maybe they should go out and do a bunch of extra good works to prove that their faith is real after all? This is a form of arrogance. We can always do more for Jesus. Jack’s friend Tom Croley makes an excellent point. Of course, the scriptural passages that LSers misuse to come up with their non-Biblical, gospel-eviscerating “tests”, cannot possibly mean what they say they mean. But, a new Christian doesn’t have anything of himself to examine for salvation. If a new Christian can have assurance of salvation without looking to himself, SO CAN ANY CHRISTIAN! One CANNOT POSSIBLY look to his works, attitudes, good intentions, commitment, passion, feelings, emotions, direction of his life, sinning less, being more sensitive to sin, or any of these things to affirm, or even to corroborate whether or not he has eternal life. The Bible teaches that works do not enter into the equation of whether or not someone goes to heaven or hell. LSers are left on the horns of a dilemma: How can they trust in Christ alone as Savior, yet look to their works for assurance of salvation? Perhaps as you’ve read this article, it has dawned on you that the “tests of life” that pastors have been teaching are not Biblical. And, maybe it has dawned on you that in relying on these “tests”, you have never trusted in Christ alone as your Savior.